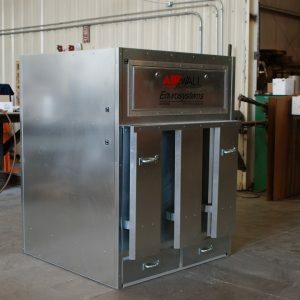 The Envirosystems AirWall® Dust Collection Equipment has been designed for the capture and control of airborne contaminates. 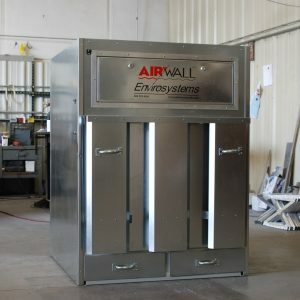 Incorporating an AirWall® Dust Collection system into the workplace creates a cleaner, safer, healthier work environment. It protects the work force, the facility and in most cases the products that are being produced from nuicance and sometimes hazerdous airborne materials. 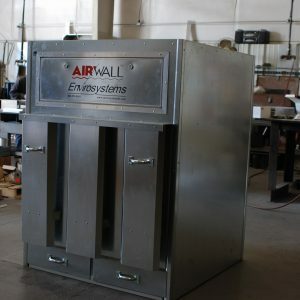 The AirWall® Dust collection systems exceed EPA and OSHA standards for clean air. 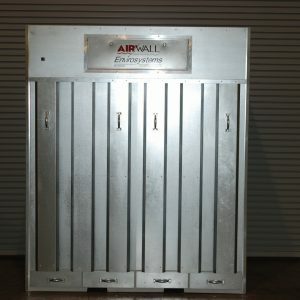 The AirWall® Environmental Controle Module are modular in design and can be installed in combination to match the space and CFM requirments of virtually any project. From a single workstation to an aircraft hanger, the system can be configured to virtually any need. 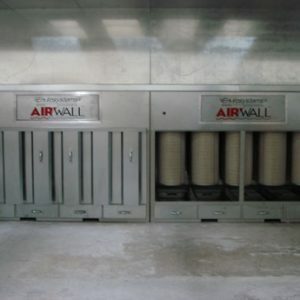 Using high efficiency, self cleaning cartridge filters, the AirWall® Dust Collection Equipment will give years of high quality industrial hygene.